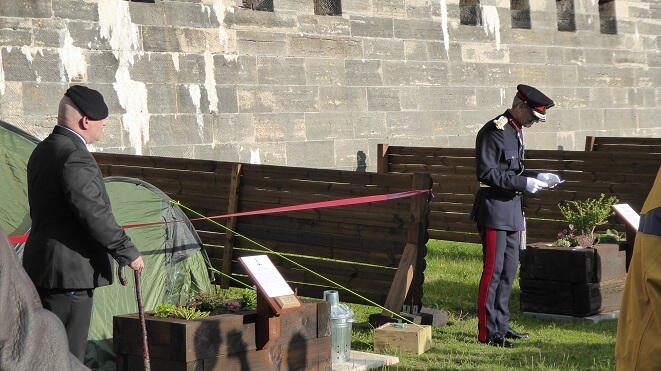 The grand opening of the Basha Retreat was attended by MPs, council leaders and soldiers from the Regiment Royal Artillery, as well as the wife of a veteran who took his own life. The project, launched in conjunction with Historic England, means veterans will be able to camp out at the fort to help their recovery. The stunning location will have specially trained support staff on hand, the opportunity to share experiences with other like-minded individuals, as well as providing a strong network of support to fend off isolation and loneliness. The centre will be made up of transformed casemates – fortified structures from which guns used to be fired – and will include a safe room, kitchen as well as communal area with pool tables, television, game stations and sofas. The organisation seeks to help veterans in any way possible including issues such as debt management, housing, food problems, food and hardship vouchers. Veterans will also have access to specially trained mental health professionals. But the retreat’s crowning glory is perhaps its ‘basher base’ – an outdoor camp area where veterans can come together around a fire and share stories. We at the Veterans Raffle are so proud to be supporting such a dedicated team of committed individuals at Forgotten Veterans UK. Our two organisations work very well together and obviously complement each other. This is a classic example of where 'Teamwork makes the Dream Work'. Our Veterans Raffle logo and banners are on virtually every page of Forgotten Veterans website and they help spread awareness of the Veterans Raffle on various social media platforms every day which, is how they have amassed their public support of the Veterans Raffle over such a short period. Effort like this, (from our chosen good causes), is how we’ve been able to maintain our regular unrestricted funding to their organisations. Our online funding raffle is a very simple process of ‘The more entrants we have the more funds are available for charity and the more prizes are available for the raffle. It’s a win win all-round.